For the first Criss Cross release under his own name, the remarkable Venezuelan-born, New York-based pianist Luis Perdomo has chosen to Interact with an immensely talented pair of longtime friends --- bassist Hans Glawischnig and drummer Eric McPherson --- in a program that includes eight well-crafted originals, two compositions sourced from the Broadway stage and a particularly memorable Bud Powell tune. A youthful veteran, who's already shared bandstands with Ray Barretto, Dafnis Prieto, David Sanchez, Jerry Gonzalez, Miguel Zenón, and Ravi Coltrane. 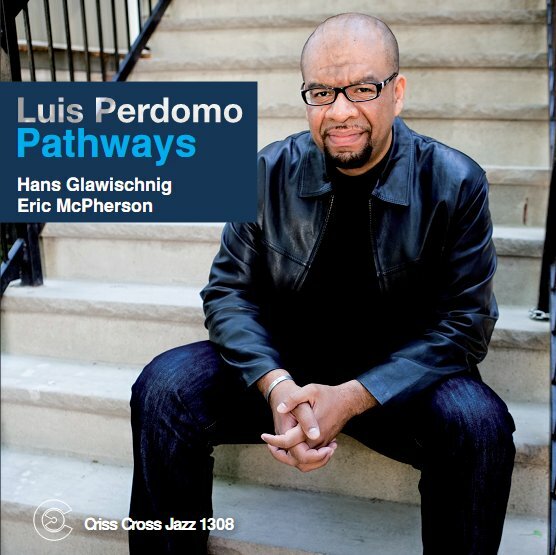 With Pathways, he demonstrates his mastery not only on Latin-tinged material but also on straightahead jazz that is, by turns, rhapsodic, gently propulsive and downright boppish. Luis has previously been heard on Brian Lynch's Criss Cross album Conclave (2005).